On October 7, Rachael Yamagata will release her sophomore effort, Elephants…Teeth Sinking Into Heart, a song cycle that explores emotions and instincts contemplated amid and following a personal relationship. As musically progressive and mature as its contextual premise, this double album finds the singer/songwriter expanding upon themes she introduced on her 2004 debut, Happenstance, infusing it with piano-laden grandeur in turn with brazen rock ‘n’ roll. She conceives an evocative, melancholic aura on Elephants, its lyric imagery and introspection mirrored in music that echoes with an ethereal weight. On Teeth Sinking Into Heart, she solidifies that aura into an emboldened sonic assault of brash and scathing guitars. Taken as a whole, the album makes for a harrowing depiction of the perils and ravages of relationships. A 4-song EP, currently available for download at most online retailers, affords a compelling preview of the album. Yamagata is set to headline a tour in support of Elephants…Teeth Sinking Into Heart, beginning September 20 in Asbury Park, New Jersey before joining the Hotel Café tour on October 28 in Washington DC. 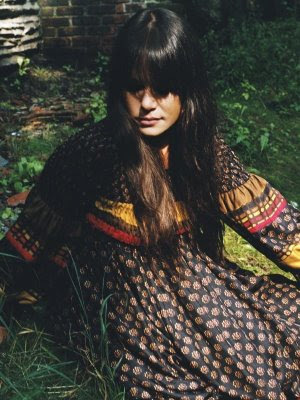 Before hitting the road, though, Rachael Yamagata spoke with music writer Donald Gibson about her thoughts on the album’s thematic and musical development as well as her perception of the work overall. This being your first album in four years, how has your songwriting changed in comparison to Happenstance? The lyrics, especially on Elephants, have become a bit more poetic. I’ve never used metaphors or imagery the way that I am on this record. And certainly the guitar-driven rock side is new territory for me in terms of recording. We touched on it a little bit in Happenstance, but this one kind of takes it to the next level, especially the production side, [which] is very gritty and raw and gutsy in a way that’s new for me. I’m touching on a lot of similar themes but with a bit more poetic wisdom. You’ve started playing the guitar more prominently on this album. Is that electric guitar as well as acoustic? On this record it’s acoustic yet in live performances I’ve just started picking up the electric. Well, it’s slow [Laughs]. It’s almost like my passion for it is tripping my feet up a little bit. I love the guitar. I’ve always written on guitar. I’ve just never really recorded very much on guitar. So for this record we really kind of went there with particular songs, but I just like the gutsiness and the range. I was introduced to so many great bands way late. It was right around a couple years ago when I first heard Led Zeppelin and I got so intoxicated by the guitar solos and work like that. They have a habit of doing that to people. I know [Laughs]! Like, where have I been? There’s something cool about weaving that into heartbreak songs because they are really powerful and I don’t want to pussyfoot around it. I want to dig in like that. I loved doing that for this record. Totally. [I] really wanted to go full throttle, especially if I were even going to approach rock in this way. I didn’t want it to be a clean, shiny attempt at it; I wanted it to really hit you in a full-on way. Like, for “Faster,” we took a Dobro guitar and ran it through a harmonica mic to get that extra edge. On “What If I Leave,” you have this soft vocal running against a tribal drum sound. That dichotomy creates a tension in the song that’s very interesting. That song, we put it on its head. [On] some of the breaks where it’s just instrumental, there were actually lyrics that went along with it. It was a very live recording. We went in and I just started playing the guitar lick and the rhythm section, Jay Bellerose (drums) and Jim Conte (bass), had this vibe and this mood. We just played it so it was almost a trance. And there is something lulling and trance-like when you go to a tribal, rhythmic section. So it was very much in-the-studio live, everybody on the same vibe. The strings were played as we were playing. Everything was in the moment. So I think that’s part of why it works so well. I always loved the paradox of having something like a lullaby effect but with not an easy lyrical message. And that one came together like that in a really effective way. It grabs you. It lures you in. I love things that are kind of haunting. It seems like that one worked really well. On the title track of Elephants, the parallel you strike, lyrically, is fascinating, comparing the instincts of wild animals to the instincts of humans in relationships. Yeah, consciously. I never sit around looking at animals and relating them to humans [Laughs]. It just worked. How did working with Ray LaMontagne on “Duet” come about? Well, we’ve known each other for quite a few years. And I always felt like our voices would complement each other’s so well because it’s such a dark and intimate vibe to the song. He was a very natural choice for me. I also loved the idea of, lyrically, portraying these two characters, two people in their careers — especially life on the road — who have no ill intentions; it’s just reality. You always meet musicians on the road whose personal life has just gone to Hell. And I’ve never heard a song that specifically referenced that, how you can love your art and how it can destroy everything else. But you keep hoping. There’s a music ebb and flow to the album. Do you see any thematic or narrative arc to it? I do. I feel like “Elephants,” in particular, that song, sets up the record from the point of view of somebody who’s a bit more weathered and educated than [on] the last record, in terms of entering relationships, and yet still willing to go there. [That person has] obviously been hurt in some respects. And just like animals can have such instinctual reactions to any action taken to them, there’s that danger of reacting like that on a human level. And then you go through all of the different challenges of relationships where you question what if I leave or why are we even here? What are we going to take from these relationships when they crush us? Are we going to remember that they were worth something or are we just going to feel devastated? A song like “Duet” is almost, like, the false promises we make to each other, the hopefulness we have that something will work. And yet the objective, outsider view is that it’s headed for disaster. You go through this record going through the heartache of something and then by “Horizon,” it’s almost like an acknowledgment that you were flattened by this relationship. You were thrown off balance, you’ve lost your horizon, but you’re still looking for it. You’re looking to make sense of it all. I feel like that closes out that side of the record. Teeth…Sinking Into Heart is really more about once you’ve regained your footing a little bit and you start to translate this experience into reclaiming your backbone. And you showcase that defiance, but you’re still sassy and a bit tongue-in-cheek with some of the songs, like “Don’t.” It’s a transition that you go through. I like ending it with “Don’t” because it’s not blaming the heartache on the relationship and you hate somebody. It’s not cynical. The track, “Sidedish Friend,” is that tongue-in-cheek? It is tongue-in-cheek. It’s fun. It’s definitely a situation that I think a lot of people have been in before. You can either see it as the main character as the one inviting someone to be [his or her] sidedish friend. I really meant it as having been invited and thinking, I don’t think that’s for me, but thanks for the invitation. It’s definitely got a lot of tongue-in-cheek in there. You’re going on tour on your own for a couple weeks and then you’re hooking up with the Hotel Café tour at the end of October. How are your shows going to be different? With the Hotel Café tour, we share a backing band. So I’d imagine we’d still have a couple full-on band members as well as the more intimate solo performances. The good thing about the Hotel Café tour is that you can kind of do either/or and it’s a short enough set where you can mix it up a little bit more. On the tour that I’m doing by myself, I’m bringing out a full band, which includes a cello player. And for the NY and L.A. shows, we’ll have a string quartet joining us. 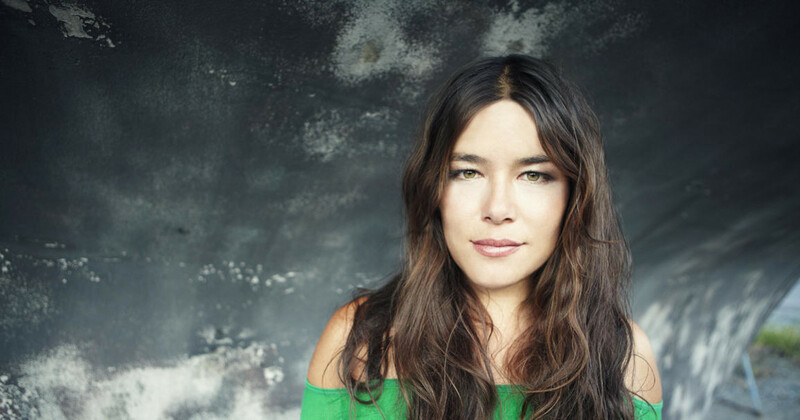 Information regarding Rachael Yamagata’s tour dates and the October 7 release of Elephants…Teeth Sinking Into Heart is available at the artist’s official website. Had a blast at the show in Seattle. Even with the flu Rachael sounds fantastic! Can't wait to hear the rest of the new songs today (at long last!) Thankyou Donald for the interview post.